The Clarke Tinwhistle Beginners Set includes a tin whistle tuned in D and textbook "Learn to play the tin whistle" with CD. 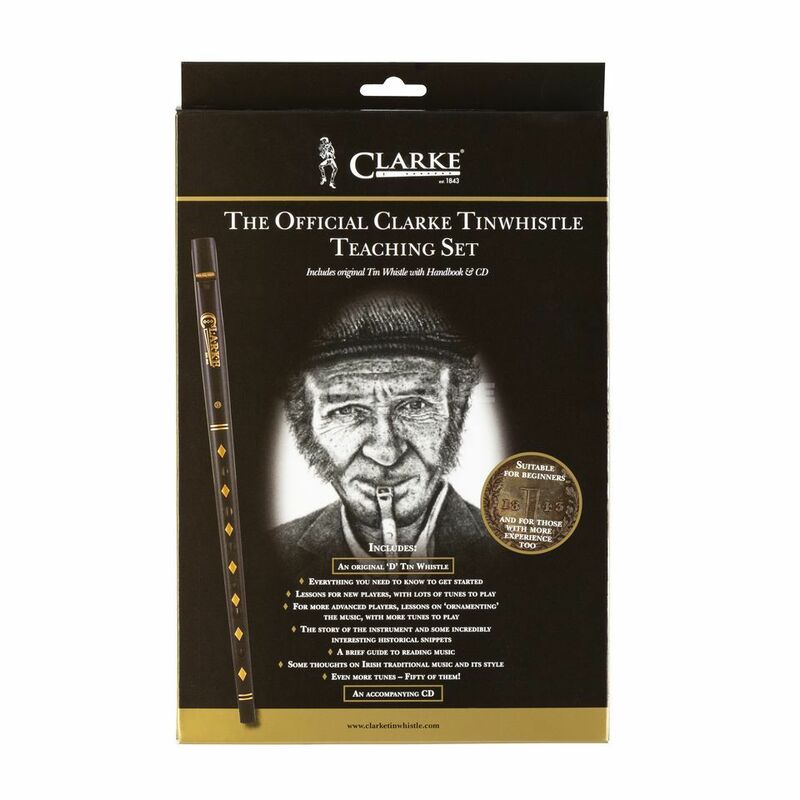 The original Clarke tin whistle is made of sheet steel, the head has a wood-labium and it is painted black. The tin whistle belongs to the family of Penny Whistles and was originally a small beak flute sheet with six tone holes. It was, late 18th early 19th century from the harmonics developed. The Penny Whistle is located in the Irish music and one of the most popular musical instruments in Ireland. The accompanying textbook with CD by Bill Ochs includes songs from England, Ireland, Scotland and the early America and information around the topic penny whistle. The book is for beginners who want to learn the Tinwhistle.